"The Miracle Field is currently under construction and we look forward to playing ball in September" states Millie Hicks, Miracle League Advisory member. "The money raised by the show will go towards the purchase of uniforms and equipment to help get the league started. We want the Miracle League players to have a full baseball experience. We are so thankful to Bluegrass Bands Helping Hands and their continuing and faithful support." "We could not do this without the support of our community and especially our underwriting sponsors and performers," says Paul Byrum, Event Coordinator. "Our concert was sponsored in part by the generous support of David Aft & Pauline Melton, The Downtown Dalton Development Authority, Masingill Clean Air and The Community Foundation of N.W. Georgia. I am very fortunate to have the support of individuals interested in connecting our passion (for music) with purpose". 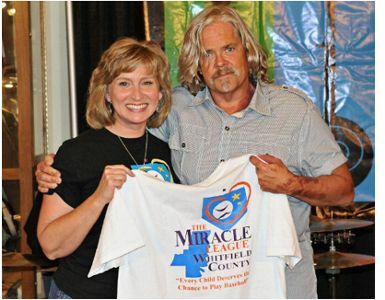 Direct contributions in support of The Miracle League of Whitfield County may also be sent C/O: The Miracle Field, PO Box 942, Dalton, Georgia, 30722-0942. The Community Foundation of Northwest Georgia, a 501 (c) (3) non-profit organization serving Dalton and North Georgia is accepting donations for The Whitfield County Miracle Field. 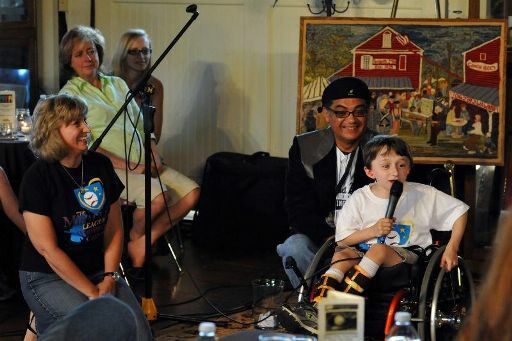 Bluegrass Bands and Helping Hands LLC is an organization committed to community service and the presentation of Bluegrass, Americana, Folk and various forms of roots music.